Great American Shake is UL rated and rigorously tested against hail, falling debris, wind, and fire. Its concealed clips and four-way interlocking design create a near impenetrable shell of protection against extreme weather, including winds of up to 120 miles per hour. Great American Shake reduces attic heat gain by up to 34% which can save homeowners up to 25% on their summer energy bills. 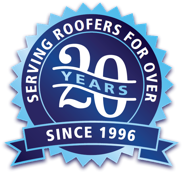 Great American Shake is an Energy Star partner roofing product which may qualify homeowners for federal, state, and local rebates. Lifetime Transferable Warranty Green American Home products offer an unmatched lifetime transferable warranty. To obtain a copy of the detail manual, please contact Gulf Coast Supply at info@gulfcoastsupply.com or call 1-888-393-0335.